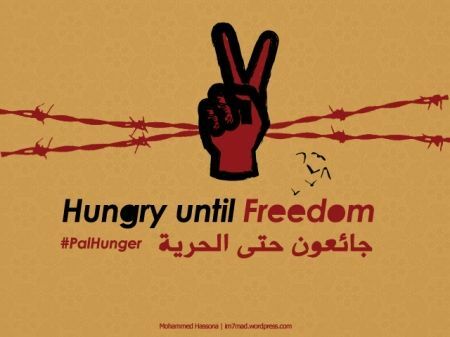 On 17 April 2017 around 1500 Palestinian political prisoners announced the beginning of an open hunger strike. Striking prisoners are calling for an end to Israel’s practice of abuse, solitary confinement, torture, medical negligence and denial of rights guaranteed under international law—including the right to a fair trial and visitation by family. Several Palestinian prisoners leading the hunger strike have been moved to solitary confinement. All striking prisoners are being denied lawyer and family visitation. There are around 6,300 Palestinian political prisoners, including at least 300 children, incarcerated in Israeli jails, according to Adameer – Prisoners Support and Human Rights Association. Palestinian prisoners from the West Bank and Gaza are held in prisons inside Israel and are often denied of regular family visits, a decades-long policy described by Amnesty International as “not only cruel but also a blatant violation of international law”. As European trade unionists we are alarmed that despite this clear injustice inflicted on the people of Palestine, European states, the European Union (EU) and representative institutions have failed to fulfil their duty to hold Israel accountable for its grave violations of international law and human rights. The EU and multinational corporations reap profits by facilitating the continued oppression and imprisonment of Palestinians. The European Union includes the Israeli National Police in research projects, like LAW TRAIN, funded by the EU taxpayers money, that aims to further develop interrogation techniques. Corporations like Hewlett-Packard (HP) and G4S profit from the imprisonment of Palestinians: aside from providing services to the Israeli occupation army and biometric technology that enables Israel to control and enforce its system of racial segregation and apartheid against Palestinians, HP is deeply complicit in technologically enabling the torture-laden Israeli prison system. British-Danish security corporation G4S still has contracts in training Israeli police and as such, remains complicit in Israeli violations of Palestinian human rights. We believe that as trade unionists and conscious citizens of this world, we have duty and power to take a stand. We stand in solidarity with Palestinian prisoners on hunger strike in their demand for fair treatment and justice. We commit to working within our respective unions not to renew contracts with corporations like HP and G4S profiting from the imprisonment of Palestinians. In addition we call on the EU and European member states to end their complicity and hold Israel accountable for its gross violations of human rights.